Learn about the Cincinnati woman who recently launched an online women’s clothing store that makes looking fabulous easy and affordable. Style Lust Shop offers women’s clothing at an affordable price. What happens when you combine easy-on-the-eye, on-trend fashions with easy-on-the-wallet price tags and a just-plain-easy shopping experience? According to Liz Eppers, Style Lust Shop. Style Lust Shop is the an online clothing boutique she launched to offer fashionable women’s clothing at an affordable price. “After 10 years of being in [the retail] field, I decided that it was time to launch my own store where I could offer styles that everyone would be lusting after!” said Eppers. This expertise, combined with a passion for fashion, led Eppers to the decision to create her own business. “I decided that it was time to put some of my knowledge and expertise to the test and source for my own customer,” she says. Who is the Style Lust Shopper? “We are catering to women who love fashion and getting dressed every day. 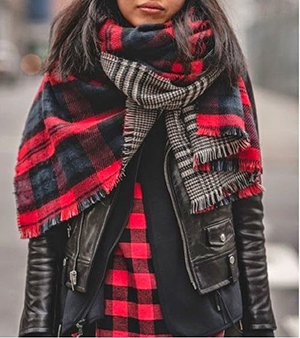 We carry styles that every woman can wear and feel comfortable in.” Eppers also added that the majority of styles offered on Style Lust Shop are made in the USA. For more information on Style Lust Shop, visit www.stylelustshop.com. You can also follow the store on Instagram and on their Facebook page. 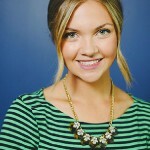 PR & Editorial Intern - Kyrsten Stoll is the PR & Editorial Intern for Chic Publications. Contact her at KStoll@chicpublications.com.